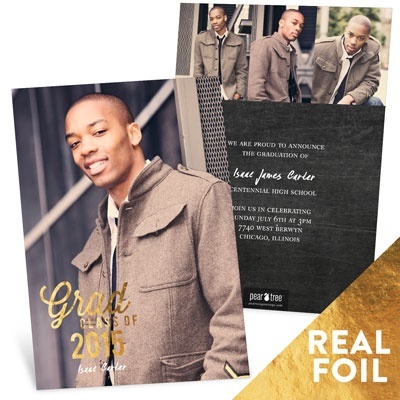 New Graduation Announcements Are Here! 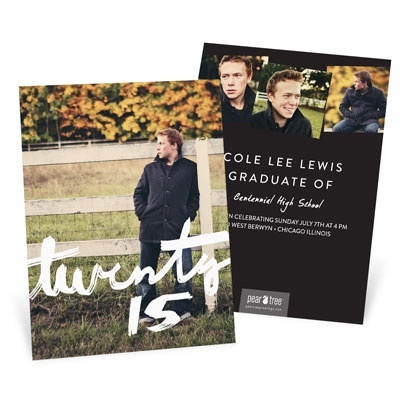 We’re excited to announce our 2015 Graduation Collection, which includes lots of new graduation announcement ideas as well as new graduation party decorations! 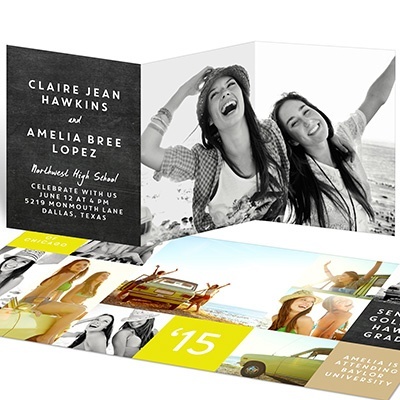 Here’s what’s new this year in graduation announcement styles and trends at Pear Tree Greetings. The trend toward rustic backgrounds like chalkboard and kraft paper continues, but you’ll also see some other options like denim and wood grains to make things interesting. 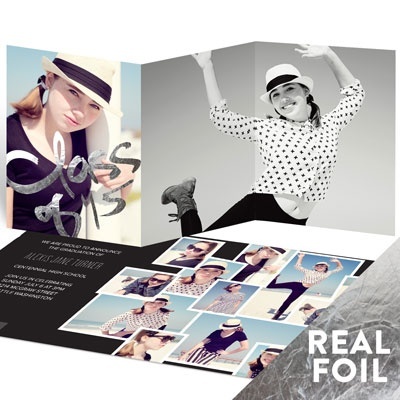 We’ve introduced a whole new collection of graduation announcements designed just for joint parties, with wording and photo options that let you included two or more grads. Our grad moms last year asked for more photos on their announcements, so we’re happy to oblige with these new collage-style designs for 2015. Just upload your school mascot or logo into any of our smaller-sized photo boxes to show your school spirit on these announcements. 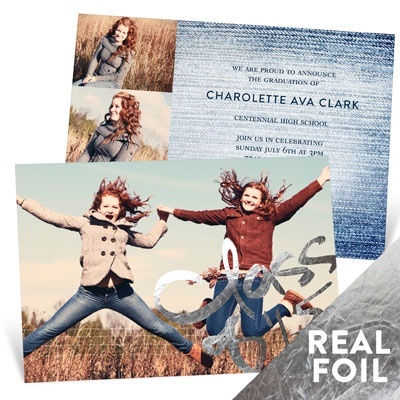 Or look for our specially marked grad announcements with these images. These are just a few of the new graduation announcement ideas we’re introducing this year — hope you like them! We’ll follow up later with some of our new graduation party decorations to match! 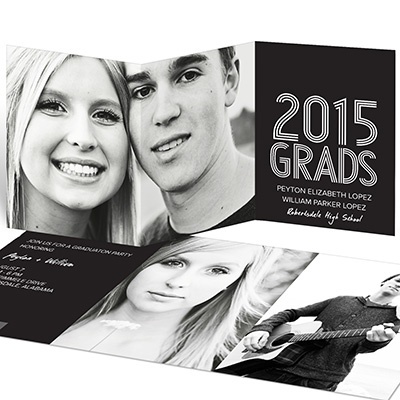 Shop graduation announcements at Pear Tree now!